A highly respected Rocklin family is the Ruhkala family which was associated with the local granite industry for over three quarters of a century. 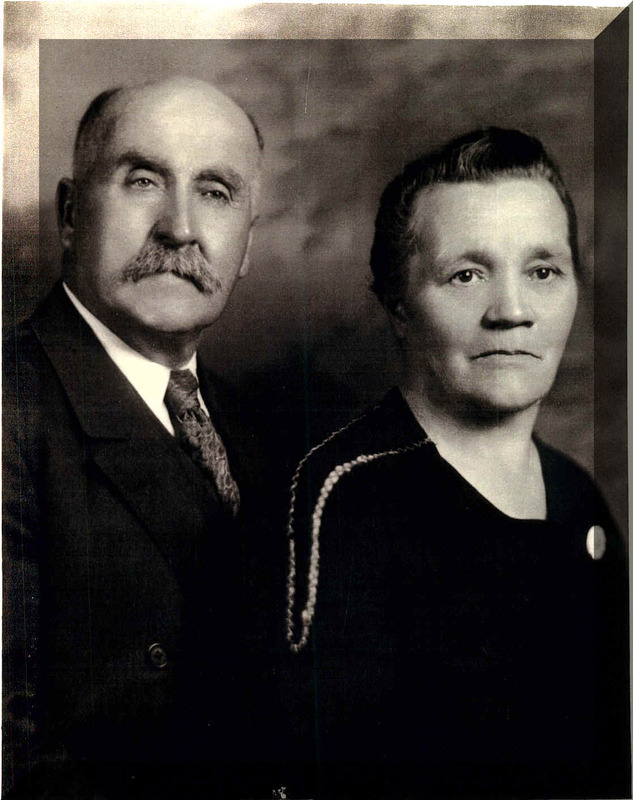 The progenitor of this family was Matt Ruhkala who was born in Kalajaki Finland on April 25,1869, the second child and only son of a family of three children born to Peter and Louisa Ruhkala. Matt was brought up on his father’s farm, attended common school and was confirmed in the Lutheran faith. He left for America when but nineteen years of age via England, landing in New York City from whence he proceeded to Wisconsin. There he worked for six months before moving to Rock Spring, Wyoming where he worked in the coal mine for a short while. Matt Ruhkala arrived in Rocklin on February 5, 1889 and immediately found work in the thriving granite quarries. Beginning as a quarryman, he worked his was up until he understood every phase of the granite business. He was especially noted for being a first class stone cutter, having learned that trade thoroughly at Rocklin and San Francisco as an employee of the Raymond Granite Company. Mr. Ruhkala married Eva Ericson at Berkeley (see picture below) and they became parents of eleven children: Marian, Rachael, Abner, Gideon, Benjamin, Ruben, Melka(Betty), Ruth, Roy, Marshall, and Margaret. In c. 1904 Matt Ruhkala established the locally renowned Union Granite Company on leased ground at the old Meyers quarry. Later (1919) he he removed his operations to the former A.O. Wickman properties on what is now Ruhkala Road. Matt Ruhkala continued in the granite business until 1932 at which time he retired. His sons: Abner Gideon Ben and Ruben Carried on in their father’s footsteps. In 1935, they acquired the former Pernu ( California Granite Company) property near the intersection of Pacific Street and Granite Street (Rocklin Road) which they continued to work under the family name, Union Granite Company, until their retirement in 1977. Matt Ruhkala died on August 25, 1945 at the age of seventy six. He was survived by his wife, Eva, and eleven children. Mrs. Ruhkala died in December 1966. The following information was provided by Rubin and Roy Ruhkala, both sons of Matt, on November 1, 2001. The original Ruhkala quarry, operated by the family from 1893 until 1903, was on land adjoining the Rocklin Cemetery to the South and now covered by Interstate 80. The second Ruhkala quarry, operated by the family from 1903 until 1919, was located near Granite Drive and Rocklin Road.